Tonight in Malta, the European Film Academy held its ceremony for the 25th annual European Film Awards at the Mediterranean Conference Centre. The event was hosted by German comedienne Anke Engelke, her fourth year leading the show. 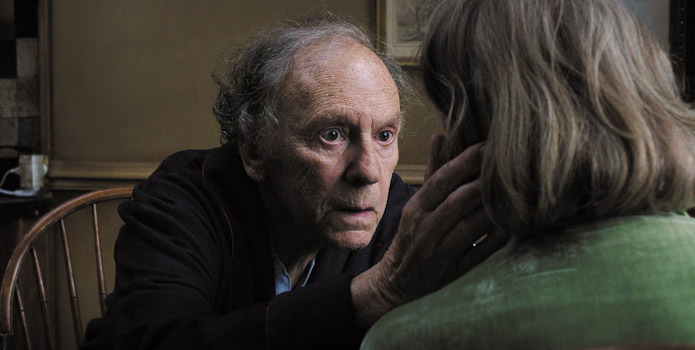 The big winner of the night was Michael Haneke's Amour (Love). It had been the frontrunner with six nominations. Its wins were for the top prizes of Best European Film, Director, Actor (Jean-Louis Trintignant), and Actress (Emmanuelle Riva). Steve McQueen's Shame picked up two awards, winning for Cinematography and Editing. Tinker Tailor Soldier Spy also picked up a pair of awards, winning for Composer and Production Designer.